You've started a business. And you've been told you need a uniquely crafted brand identity. That's just a logo, right? Well, no a logo is part of a brand. It is merely one representation of what a brand stands for and it fits within a full brand story, made u by a series of brand elements pieced together in a considered fashion. A logo on its own will not make up a brand or tell a brand story. A strong brand is an enormously powerful tool for connecting your business with your ideal audience. The strength of a brand relies on its ability to encapsulate all that a business stands for – its unique story, values, purpose for being, key messages and personality. The strategy and concept behind a brand will inform every interaction and communication that the business sends to its audience - from the tone of voice chosen to underpin written communications through to the way staff dress and how they display the brand values. This strategy also informs its visual identity as presented through online content, packaging, corporate stationery and advertising campaigns. A suite of uniquely crafted brand elements are tools that can be utilised in a consistent manner across a business’ communications and the various touchpoints that utilise these. Brand elements may consist of: a series of logo lock-ups, a colour palette, visual devices and images, typographic choices, photographic treatment rules, rules for composition and an icon set. A style guide will accompany these elements and will act as an instruction manual for anyone wishing to compose future communications or apply the concept to various touchpoints. 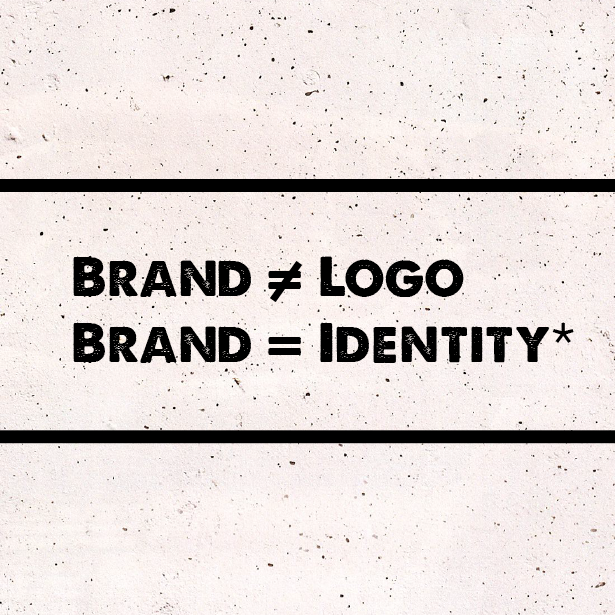 A brand mark, or logo, stands as merely one signifier of all that your brand stands for. When all forms of communication are consistent, the message to viewers will also be consistent and memorable. This consistency will influence the overall way an audience will think about the company, products and services - ie. the reputation or identity. For example, the Nike logo is merely a signifier for all that the company communicates through its advertising, through its products, through its customer service, through its brand story, and so forth. The Nike logo on its own carries little meaning without sitting within a picture of a brand. Need to work on crafting your brand and visual identity? Take a look at our process and view some past works by clicking on the button below.